Yes they are a bit different. I had to change the flange on my down pipe from a greddy 4" or whatever to one that would fit my bw 475. The flange for my BW is slightly larger than the one that I was useing for my t88 setup. I got mine from a local diesel shop here that is a dealer for borg warner. I would think any BW dealers here on the site would have them. If not I could help you get one. The S475 comes with a T6 flange usually. Did you get one with a t4 flange? If so, did it fit on your greddy manifold? Yes sir, my s475 has a devided t4 flange, and it matches up to my greddy manifold. However the downpipe flanges seem to be slightly larger as the OP has stated. 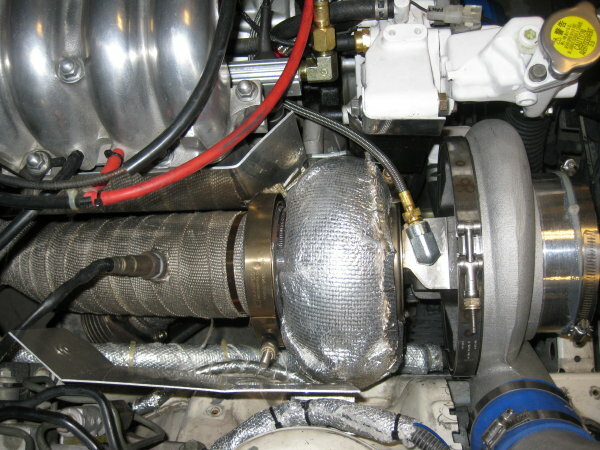 I do have pics, but I never took any of the greddy manifold sitting next to the turbine housing to compare flanges if that is what your curious about. Most of them are of the turbo already mounted to the greddy manifold. So they would be more of just an engine bay pic. Anthony, they are nothing really special, but here are a couple pics that show the turbo mounted on a greddy manifold. However I had to have a spacer made for the manifold to allow the turbine housing to clear the lim. shouldnt a precision flange work as well on a borg warner?? Thanks Seven for the pics! KillahRx7 - thats a good idea too. seven what lim are u using? factory or the excessive motorsports? Quick Reply: borg warner exhaust flange?